The Hurst Feedmiser Automatic Return System provides storage for water make-up and return condensate from the system loop. When equipped with optional trim, the Feedmiser provides a quality, heavy duty packaged unit fully assembled and ready to install. 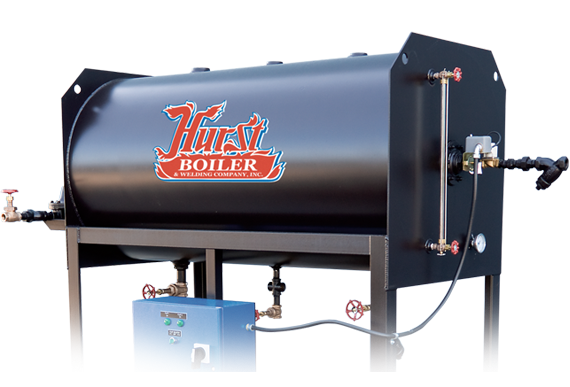 The Hurst "Oxy-Miser" deaerating boiler feed water system eliminates the need of expensive oxygen scavenger chemicals. Guaranteed to remove oxygen in boiler feed water to .005cc/liter.